Johnson Matthey is a British multinational speciality chemicals and sustainable technologies company headquartered in the United Kingdom. It is listed on the London Stock Exchange and has been in the FTSE 100 Index since 2002. Today, the company has market capitalisation of over £6 billion with 12,000 employees operating in more than 30 countries. Having trained in his father's business as an assayer, Percival Norton Johnson established his own firm in 1817. He specialised in the assaying and refining of precious metals particularly gold imported from Brazil: he perfected a method of extracting the palladium from the gold therefore improving the gold's colour. He became a Fellow of the Royal Society in 1846. He went into full partnership with George Matthey, a stockbroker, in 1851. 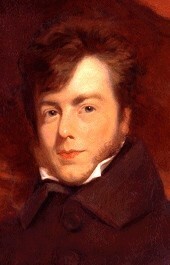 His expertise in refining earned his business the appointment of Assayer to the Bank of England in 1852. In his later years, Johnson devoted much time to mining interests in Devon and Cornwall, where he introduced many improvements in mining techniques. He invested time, and all his fees from the mining companies, to the betterment of conditions for the miners. From 1854 he lived mainly in Devon, moving in 1855 to Stoke Fleming where he bought Stoke House; he died there on 1 June 1866 at the age of 73. 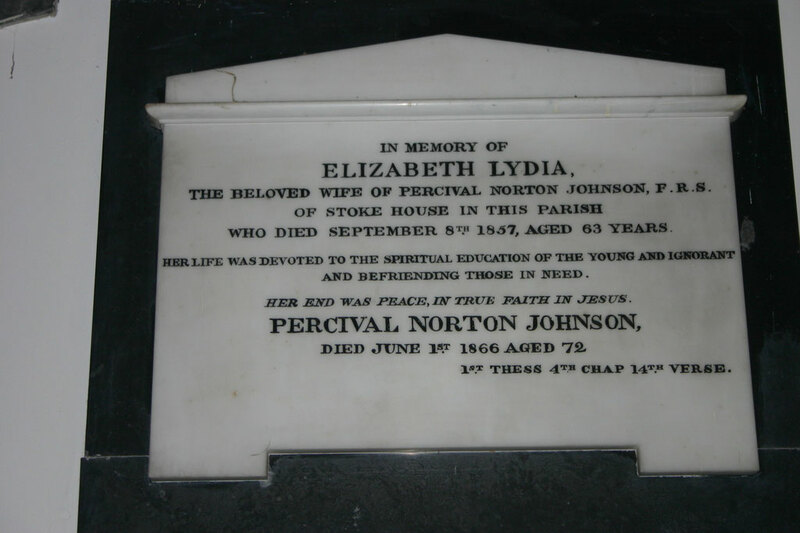 He was buried in the vault under the chancel in St Peter's church and an addition was made to the white marble tablet to his first wife, Lydia, who is also buried under the chancel. 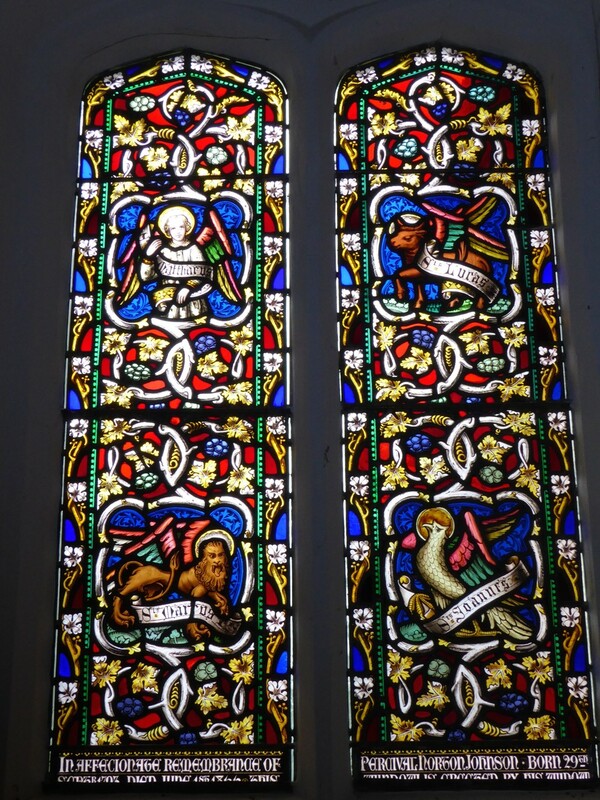 He had married again in 1858 and the stained glass memorial window in the south wall of the chancel was placed there by his widow. When the corroded bell frame was discovered and the renovation project was conceived, it was decided that, rather than replacing the old 6 bell frame with a similar one, for a marginal increase in cost an 8 bell frame would be installed instead, to enable an additional two bells to be installed when funds allowed. See the page on 8 Bell Frame for the rationale behind this. In view of their founder's connection with Stoke Fleming and St Peter's church, and their imminent bi-centenary (2017), Johnson Matthey were invited to sponsor 2 additional bells to be hung in the new frame. Very generously they agreed and we are delighted that our new bells will be hung in the tower as an integral part of the project.